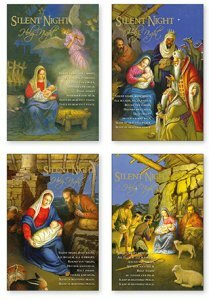 DIVINE CHRISTIAN GIFTS - Silent Night Christmas Cards Boxed -18 cards. 18 Silent night Christmas cards boxed. At this Christmas Season and throughout the New Year may you be blessed with Every happiness.